How to Start a Career as a Salesforce Developer? One of the best career options that you can make right now in the IT industry is becoming a Salesforce developer. Technology companies everywhere are fighting to get their hands on the best-skilled administrators, developers, and consultants in this field. Becoming a Salesforce developer is not easy, but it is highly rewarding. With the proper training, certifications and some experience on the platform, you can land an important position in an IT company. The salary and the benefits that come with the job are substantial, and the options of furthering your career are almost limitless. Read on to discover how to start a career as a Salesforce developer and get every developer’s dream job! Recommended: A Quick Guide to Salesforce Surveys – How It Can Address Your Business Sales Issues? 1 What is a Salesforce Developer? 2 Why Do Companies Look for Salesforce Developers? 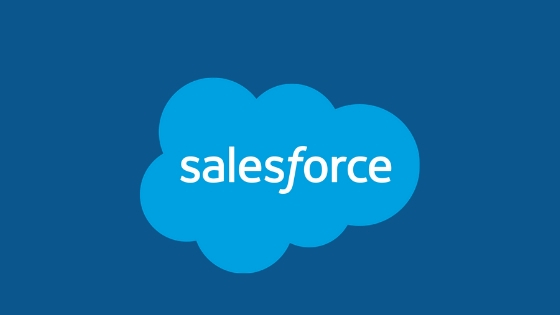 Salesforce is an American cloud-based software company that specializes in creating solutions for customer relationship management (CRM), marketing automation, application development, and analytics. Contrary to general misconception, a Salesforce developer does not necessarily work for Salesforce. A developer may work on the SaaS (Software as a Service) or PaaS (Platform as a Service) platforms that Salesforce provides while performing their jobs for other companies. As a Salesforce developer, you will have to develop cloud-based applications and come up with effective solutions for Salesforce platforms issues and limitations. Every project for a new platform starts with building functionalities. It continues with integration, testing, and deployment. Skills for each and every one of these stages are obtainable through course certification, experience and last, but not least, passion. Why Do Companies Look for Salesforce Developers? Salesforce developers are in high demand at the moment. IT companies everywhere open new positions for this profession all the time. The main reason for this head-hunting surge in Salesforce is that there is constancy in the high demand for Salesforce solutions as well after the advent of cloud-computing technology. Companies also look for Salesforce developers because they are a new breed of highly-skilled employees. Most of them have a solid experience in programming, development, and implementation in customer relationship management. Salesforce is a key skill for any developer out there besides other IT qualities. Some voices in the industry consider it even more important nowadays than Python, C++ and.Net. Additional skills like Integration Architecture, Visualforce, Apex Code, and Heroku will also benefit your goal of becoming a highly-prized Salesforce developer. The first step into becoming a skilled Salesforce developer is getting some training from a company that specializes in this field. With a short-term course, you can get a good understanding of Salesforce and develop your fundamental skills as a developer. Next, you should apply to get your Salesforce certification, which will give you hands-on experience in working on Salesforce platforms. It will also introduce you to live projects, and you will get to study real-life projects that will enhance your understanding of this field. Millions of people apply for Salesforce certification year-round. Because of the high number of applicants, Salesforce has founded the Salesforce University, which has a broad offer of training and certification courses. The most important Salesforce certifications include Administrator & Advanced Administrator, Platform App Developer, Salesforce CTA (Technical Architect) and Salesforce Service/Sales Cloud Consultant. All you need to do is find a reliable training provider that will help you develop your skills in Administration, Declarative Development and Programmatic Development using Apex and Visualforce to enhance your ability as a future Salesforce developer. If you are a certified app builder with entry-level experience and a Salesforce certification, you are the perfect candidate for the Developer job. There is a wide marketplace of Salesforce developer jobs that come with attractive remuneration and excellent options for career development. It is the perfect place to start your path to success in Salesforce. This position gives you control over entire instances of the Salesforce platform in the organization where you work. There are three levels of career (Beginner, Intermediate and Advanced), with the latter being available after at least 5 years of experience. This job is quite popular among Salesforce employees. It gives you the chance to master the technologies behind the platform and increase your chance of providing Salesforce consultancy to several client organizations at the same time. There are little over 200 certified Salesforce Architects in the world at the moment. That statistic says a lot about how difficult but also how important this position is. It may be hard to get, but it confirms your status as a Salesforce master. One of the best locations for Salesforce developers is the UK. Here, you can gain an attractive salary. Even as an entry-level employee you can gain more than £60,000 per year on average. Salesforce architects can reach as much as £120,000 per year. In the United States, the demand for Salesforce developers is even higher than in Europe. As a result, salaries are a bit higher, too. Freshman developers can win around $100,000 per year, and Architects can take home almost $140,000 on average. If you want to know how to start a career as a Salesforce Developer, you should look for a professional training course like the one in our offer. We provide essential guidance, materials, and all the necessary expertise to help you improve your Salesforce skills and get the necessary certification. Our course is an excellent opportunity for you to grow into a high-paying job and a high-growth career as a Salesforce Developer. This is a great article I really like your article. This is very useful for me. Thank you for sharing and best of luck your future.